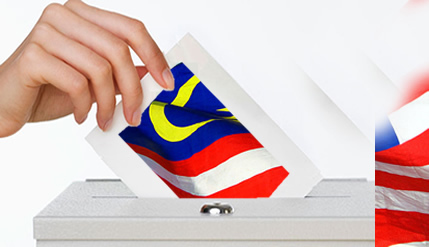 BANGI, 19 August 2010 – Over 900,000 students in the various universities and colleges in the country have not registered as voters, it was revealed here today. Political Secretary to the Prime Minister, Datuk Shahlan Ismail attributed this to the students’ indifference towards the country’s leadership as well as their own lack of leadership qualities. Speaking after the Subuh prayers following the ‘bersahur’ with the people programme at the UKM mosque here early this morning he said such indifference would only be detrimental to the youths themselves as they would not be exercising their rights to elect the leaders of their choice in an election. He described this as a crisis in leadership quality of the country’s youths giving examples of students passing their studies with flying colours even scoring flat fours but failing miserably at job interviews. Shahlan attributed this to the lack of soft skills needed including poor showing of personality, lack of confidence and communications skills; attributes which employers look for in graduates since they would be looked upon for potential leadership roles. He said the role of graduates is not just to get a degree and then get a job and earn a living but more to lead because they have knowledge. “We must realise the significant of the leadership issue since leadership qualities determine the quality of a nation and civilisation, the attitude of society and the progress of a nation,” said Shazlan. He pointed out that leadership should not be politicised because the implication can be fatal. “The struggle for leadership has led to many unfavourable circumstances with the common people becoming victims. “If we look at countries that is facing conflict, like Iran and Iraq, they all face leadership struggle, a nation can also be oppressed because of leadership struggle, look at Palestine, the leaders of Hamas and Fatah cannot see eye to eye. This only gave Israel extra ammunition to exploit and oppress the Palestinian people” said Shazlan. The leader must also be capable of leading the nation into change, in terms of thinking and attitude and bring freedom and lead the people into enlightenment. Good leadership qualities must illuminate the life of the nation, leading them out of ignorance, poverty and injustice. When ask about the concept of 1 Malaysia whether it is Islamically correct he said “ The concept promotes innovation, creativity, integrity, truthfulness and accuracy, this is all in line with Islamic principles. Also present at the programme was the Deputy Vice Chancellor of Student Affairs, Dato’ Muhammad Abdul Razak and senior faculty members.